I’ve always thought that I am pretty good about doing things in a decently Earth-friendly way. I keep my AC and heat at barely tolerable levels, I recycle, I turn off the lights when I’m not in the room, I turn off the water when I’m brushing my teeth, and I carpool when it makes sense. But I recently read the book //Hot, Flat, and Crowded// by Thomas Friedman, and while it’s a very good book, it scared me pretty good. So I’ve resolved to do even more to reduce my energy usage, carbon footprint, and resource usage. I’ve been doing some experiments around the apartment, and I’ve tried a few things out, and I think I’ve come up with some more reasonable things I can do to save. Plus, I’m saving money this way, which is a bonus. * Unplugged lights. People have said before that my place is pretty dark. Now it’s even more true. My bedroom is lit with a single 23 watt compact fluorescent bulb, and I’ve unscrewed half the lights in my dining room and bathroom. It’s enough to see clearly, and it’s not as dark as having candles. Plus, even though I was already turning off the lights when I left the room, having only half of them on when I’m in the room means a reduction of energy by 50%! * Unplugged peripherals. A huge drain on the power grid is devices that are in standby. So I unplug my microwave except when I’m using it, and I use my cell phone as my alarm clock and no longer use a standalone alarm clock. * Turned down the heat even more. For a couple days I turned it off entirely. However, when my fingers got too cold to let me type, and I started to get sick, I decided that going without heat entirely wasn’t an acceptable option. I did turn it down a couple degrees, though, to 62. Cold enough that I can’t lounge around in shorts and a t-shirt, but not so bad that I can’t type. * Turning my desktop computer off or putting it in standby. For years I’ve run my desktop computer 24/7 because it acts as a server. I’m now trying to move those services off my computer and onto hosted servers or finding alternatives. Now I can have my computer off or in standby most of the time. There are some obvious things to note about this graph. It looks like most months I hover just under 400 KWH. Looking at the trendline, there’s an obvious spike in the winter months, with a tiny spike one month in summer when it’s unbearable without some AC. My hope this year is to reduce everything by 25%. I think it’s entirely doable, and using less light, less heat, and having my computer off more will go a long way towards that. I’ve also been dabbling in energy generation. 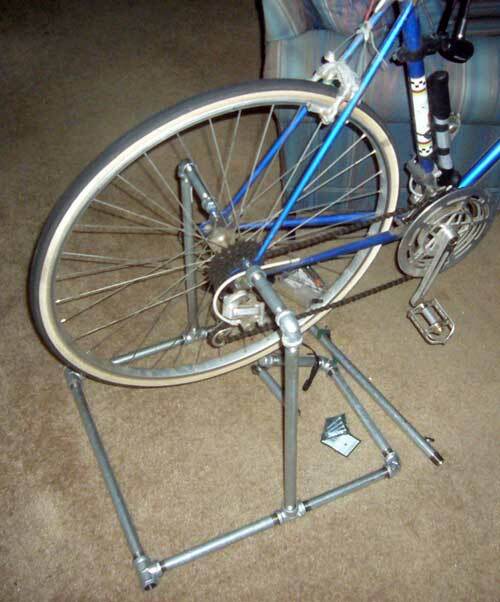 I built a stand for my bike so I can ride it indoors. 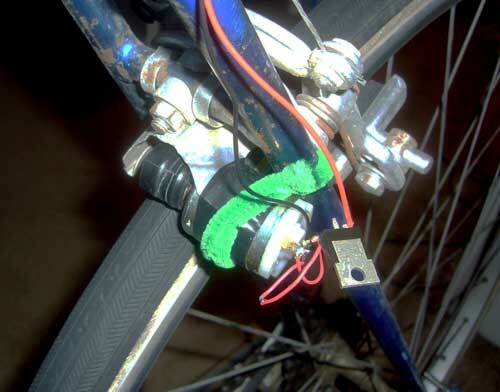 Then I took a motor and attached it to the outer rim of the bike so that the spinning wheel would turn the motor and it would generate a current. I put a voltage regulator on it so that it would keep the voltage at +5 so that I wouldn’t blow out my cell phone, then hooked the wires up to a USB port so that it could charge my phone. Find out more at WaterSoftenerMaestro.com. Surprisingly, this actually worked. Well, it was easy enough to generate electricity, and getting up to 5 volts was no problem at all, but my phone didn’t appear to be charging. So I sped up. And up. And up. I was cranking it as hard as I could in top gear before the charging light came on. I was also smelling ozone from the motor, so I decided to end the experiment. It was clearly not a sustainable solution, even though it did work for a few seconds. So I thought the next approach would be to gear down so that I would have more resistance on the bike and it would spin the motor faster. The only set of gears I could find in my apartment were from an old CD player. I tried those and while I was still testing to see what kind of a current I could get I managed to put so much energy into the gears that they quickly melted and then broke. So that wasn’t going to work. Now I’m looking into buying used car alternators, which is probably the way I should have been going from the beginning. Still, it’s good to know that in a pinch I have the knowledge to generate electricity to power a small device. Finally, I’m working on reducing my consumption in other areas. I’ll be even more vigilant about recycling everything, I’ll reuse things as I can, and I’m going to monitor how much trash I take out. I think that before I was taking out a single plastic grocery bag a week (I don’t buy garbage bags), which is pretty good, and I want to keep track of that to see how that continues. I’m also going to figure out a timer for my showers, and I’ll flush less frequently. That’s actually pretty hard because I’m so accustomed to lifting the seat, putting it down, and flushing that I often don’t realize until I’m washing my hands that I flushed when I shouldn’t have. It is my hope that watching my consumption and taking small steps to reduce it will have a better effect on the environment and my pocketbook, without reducing my quality of life.